France in London | No Mr Street, France is not finished! No Mr Street, France is not finished! 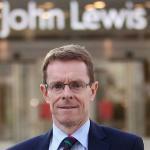 After a visit to Paris this week, Andy Street, the head of John Lewis Plc, gave a pitiless diagnosis of a “sclerotic, hopeless and downbeat” country. Bad timing for this astonishing attack on France, given that the chain of stores is planning on launching a French-language version of its website. “God help France…” God help you Mr Street! After such an attack, John Lewis might not get a warm welcome in France, where “nothing works” according to you. It is time to put an end to this systematic French bashing, let us set the record straight! France has everything it takes to succeed. “If you've got investments in French businesses, get them out quickly.” Rubbish! France is a country of entrepreneurs. With 550,000 businesses being created every year, it is a champion of Europe, at a business start-up rate of 4.5% per year – much higher than the G7 average, which is around 0.8%. Yes, the economic situation is difficult. But everything is not dark, some optimism, please! Admit the success of visionary French companies; L’Oreal, Lafarge, Ubisoft… Take a look at the Fortune Global 500: France is in fourth position, ahead of Germany and Great Britain, with 31 firms in the top 500 worldwide (Total, GDF Suez, AXA…). Accept that this country is an inventive one, full of talents; from luxury brands to planes, including win. Recognise that the French are good when it comes to new technologies: Data, cloud computing, biotechnologies and so on. Third country in the world in terms of innovative businesses after all! But that’s not all. Look at France’s academic performance: Finance and management masters courses are in the top ten or even the top 5 in the world, without even mentioning its renowned Grandes Ecoles…Vocational training is excellent, from catering to industrial design: France’s young professionals are sought after throughout the world under the increasingly successful brand The French Touch. Paul Krugman, Nobel Prize winner in economics in 2008, has described France as “un malade imaginaire*” that is being treated with inappropriate remedies. A sort of hypochondria that gets worse the more you talk about it, particularly the type of verbal attack launched by you, Andy Street. France is a country with a great future, with a high birth rate, extraordinarily diverse culture, talented people and an amazing geographic position at the heart of Europe. So let’s hope, Andy Street, that your management skills are better than your diplomatic skills, over wise John Lewis is in trouble. Arrêtons d'être pessimistes, et voyons enfin les vrais atouts que nous avons!